A Dallas hospital nurse who was reportedly in contact with specimen collected from a deceased Ebola patient, travelling on board Carnival Magic, has been denied entry to Belize. The nurse and her husband have been prevented from entering Belize City to be airlifted to the U.S.A., and are currently on a ship tender unable to return to the cruise ship, according to the Belizean. The Government of Belize has issued a press release on the matter, saying that the U.S. Government has confirmed one of the cruise passengers is presenting a low risk of Ebola. The release said that the passenger voluntarily entered the ship's quarantine, and remains free of fever or other symptoms of illness. 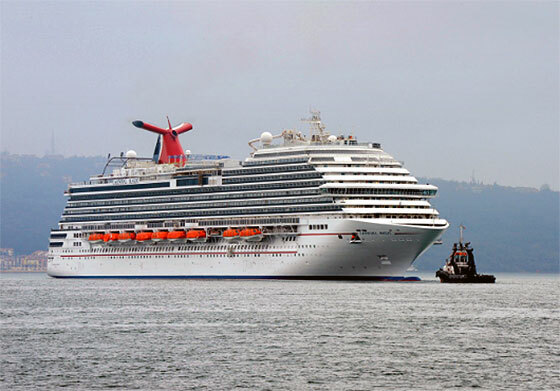 The Belize government assured their citizens that the passenger never set foot in Belize, but failed to address the situation with other 4,631 passengers and crew reported on the ship. The Belize Coast Guard is currently preventing anyone from leaving the ship, including the Belizean pilot on board.